No wonder it’s taken me a while to catch up with writing, I managed to turn June into a marathon month of adventures! I spent the first weekend bicycling the Going-to-the-Sun Road in Glacier National Park, the second paddling on Ross Lake to Desolation Peak Lookout, and the third backpacking to Miner’s Ridge Lookout. I couldn’t let the streak end, so I took the Monday/Tuesday off before the 4th of July holiday and hit the road with Jake dog to the far southeast corner of the state. 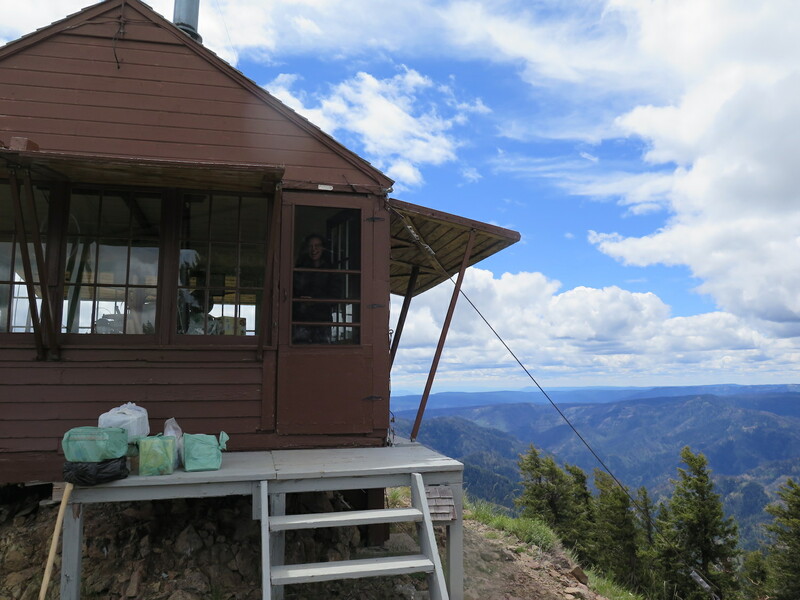 My objective was to visit 4 fire lookouts in the Blue Mountains: Table Rock, Big Butte, Oregon Butte, and Clearwater. 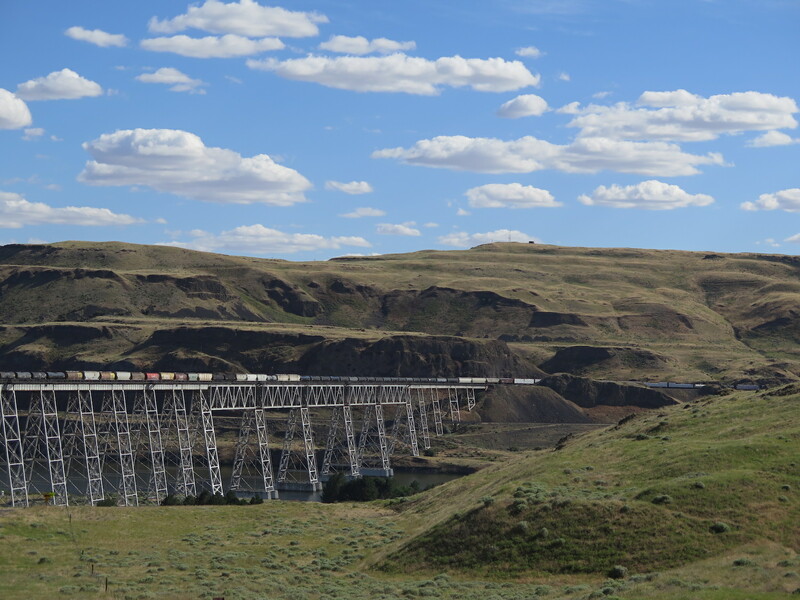 My trips to southeastern Washington had been years ago and mostly to Walla Walla. When I started looking at maps and doing research for these lookouts, I realized I had never even heard of the Blue Mountains, affectionately called the “Blues”, or the Wenaha-Tucannon Wilderness tucked into their northern reaches. I’ve been exploring all over this state for nearly twenty years and it’s mind boggling to me that I can still find places that are so incredible and unique. Washington State has no shortage of surprises and the Blues are a fantastic one! 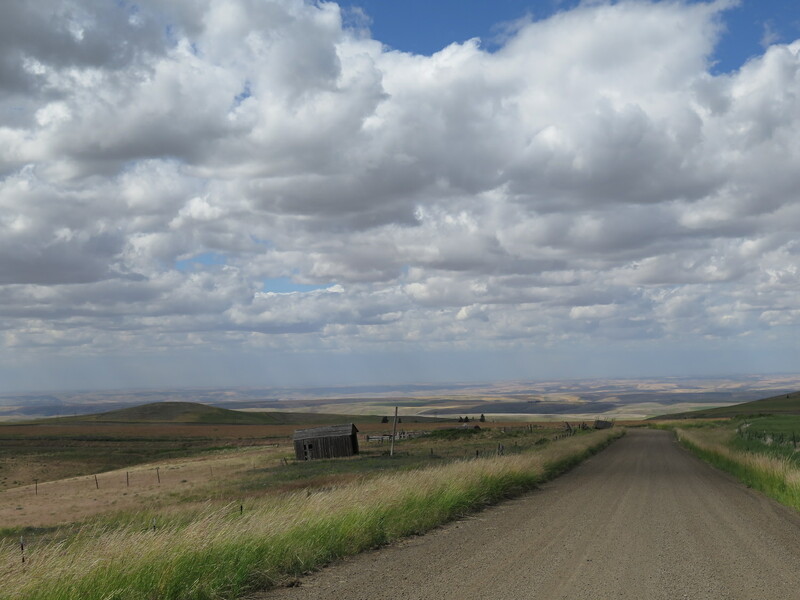 I’ve always loved eastern Washington and its big, surreal landscapes. Montana has nothing on eastern Washington’s big skies, that’s for sure. Spending a few days in the Blues left me absolutely in awe. What a fantastic place and if you haven’t been, you gotta put this one on your list! Southeast Washington’s gorgeous Blue Mountains! The Blue Mountains of southeast Washington span 4,000 square miles of land east of Walla Walla, stretching all the way to the Snake River bordering Idaho and south into northeastern Oregon. 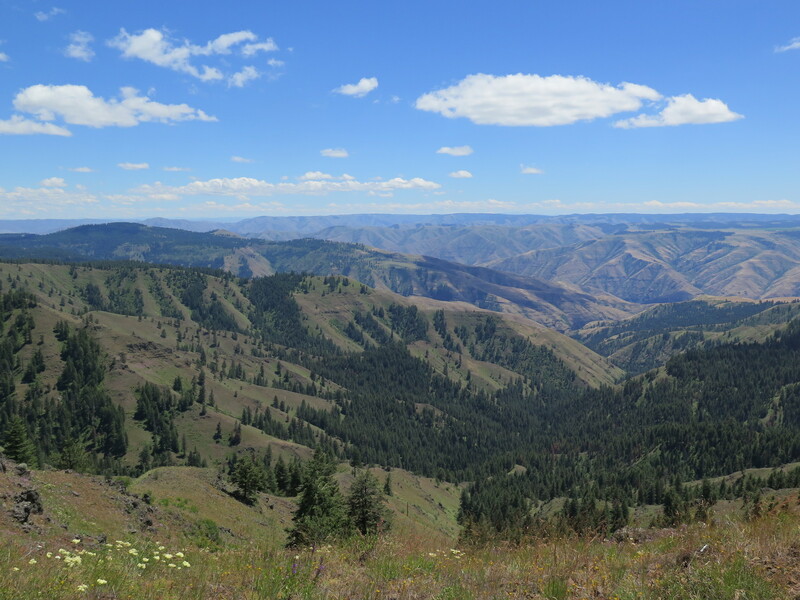 Inside the Blues is the 1.4 million acre Umatilla National Forest, encompassing the enchanting Wenaha-Tucannon Wilderness. The Tucannon’s open ridges, big mesas, and deep sheer-walled canyons are a stark contrast to the Columbia Plateau to the west. The wilderness has sweeping views and surprising solitude. 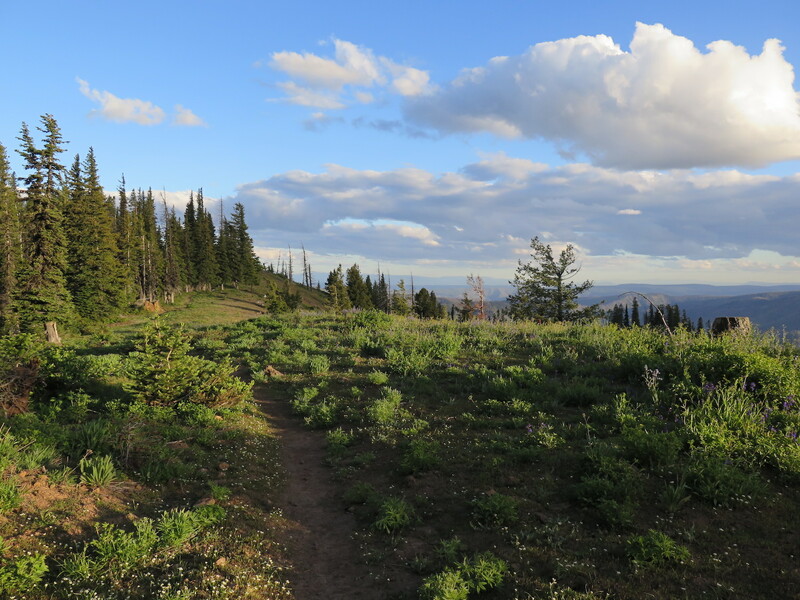 A large road and trail network allows you to venture high along its ridge tops and the area is home to big wildlife like moose, elk, bear, and bighorn. With flowers, tons of natural springs, and shockingly few bugs, it’s really heaven on earth! There’s nothing else in the state quite like the Blues. They’re an absolute gem! After looking at some maps of the area, I found the Panjab Campground, conveniently located about midway between all 4 lookouts. Some online reviews called it small and quiet, so I made it my basecamp for two nights. When Jake dog and I arrived Sunday afternoon, we had the whole 3-spot campground all to ourselves. I kicked back to enjoy some peaceful down time and the pleasant sounds of the Tucannon River flowing right behind us. Jake had no complaints! This old man was pretty happy! The Tucannon River runs right behind the Panjab Campground. 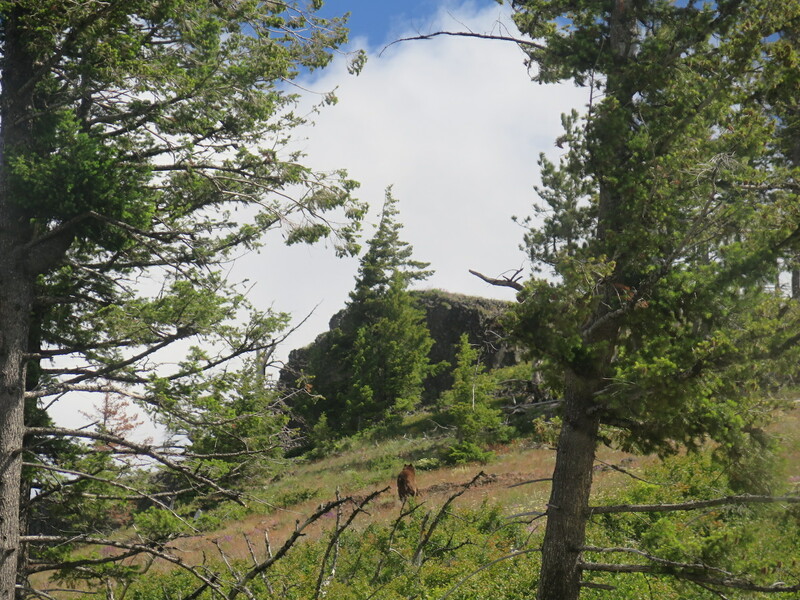 I planned to visit all 4 lookouts on Monday, first heading east to Clearwater and Big Butte, then backtracking to Table Rock and finally hiking to Oregon Butte via the Teepee Trailhead. It was ambitious but hey, why not!? I figured if I knocked them all out, it might give me time to head to Walla Walla for some wine tasting on Tuesday! 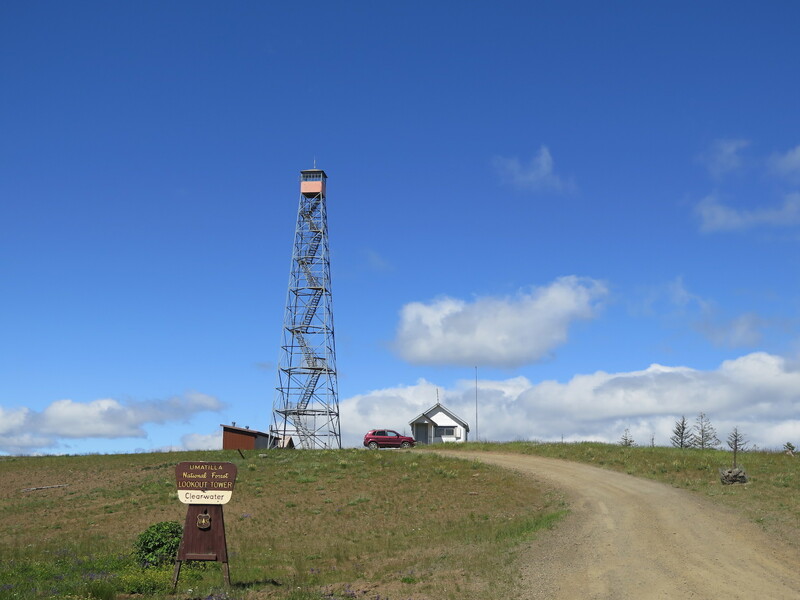 Though Clearwater Lookout was located only about 10 miles to the east of my camp as the crow flies, it was a 33 mile circuitous drive, mostly on dirt. I got an early start Monday to give myself plenty of time, I hoped, for this crazy adventure. I made a quick stop at the Last Resort north of Panjab to top off my fuel but unfortunately, they were out! Doh! The owner assured me the fuel truck was on its way. I had enough gas to get over to Big Butte and back so I continued, figuring I’d either stop on the way back through or in Dayton on my way to Table Rock. So in case you venture to the Blues, be aware that services are a bit few and far between. 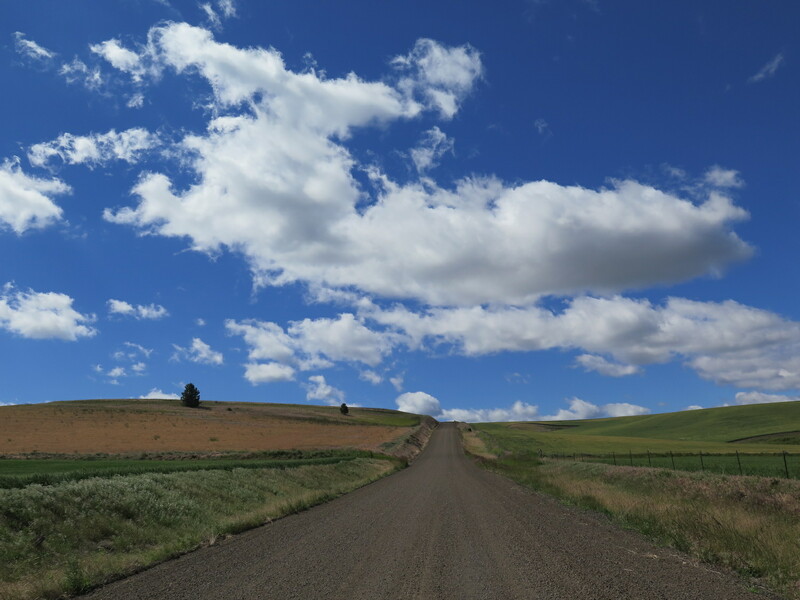 Just past the Last Resort, I turned east on Blind Grade Road, which climbs steeply and takes you through beautiful terrain with wheat fields and incredible views of the entire Columbia Plateau. Other than a few scattered washboards on the climb, the road was in good shape. At the top of the plateau, I followed Linville Gulch Road to the main paved Mountain Road leading into the Umatilla and straight to Clearwater. Heading up the Blind Grade Road from Last Resort RV park. The drive was gorgeous! Winding through wheat fields on the Linville Gulch Road. Eastern Washington has such stunning sky! Just past the National Forest boundary of the Umatilla is a beautiful campground with big views. I almost wished I had packed my gear and been a bit more nomadic, though I admit that having a base camp down low was pretty nice since chillier than normal temps meant it was even colder up high. The roads in the Umatilla have all been recently graded and were some of the nicest, smoothest gravel roads I think I’ve ever driven on! The drive was a breeze and I was at Clearwater much faster than expected. 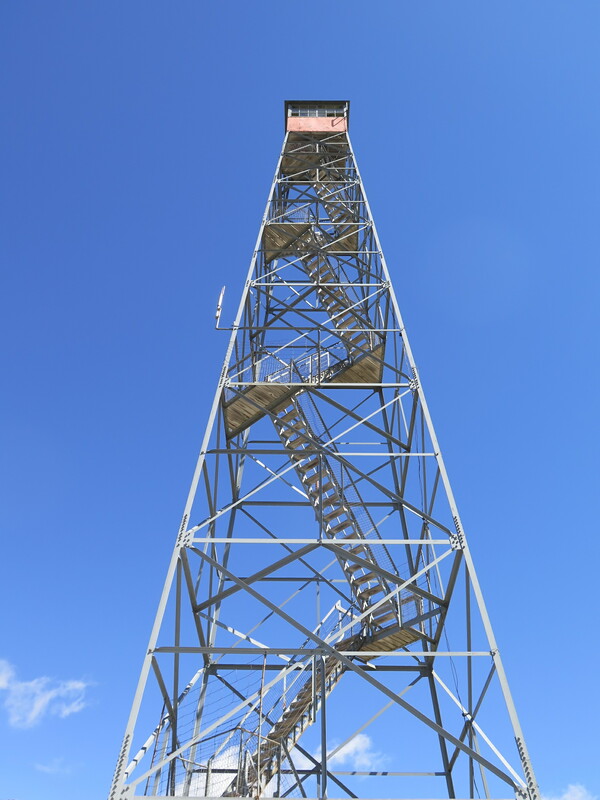 Clearwater Lookout tower, built in 1938 by the Civilian Conservation Corps. 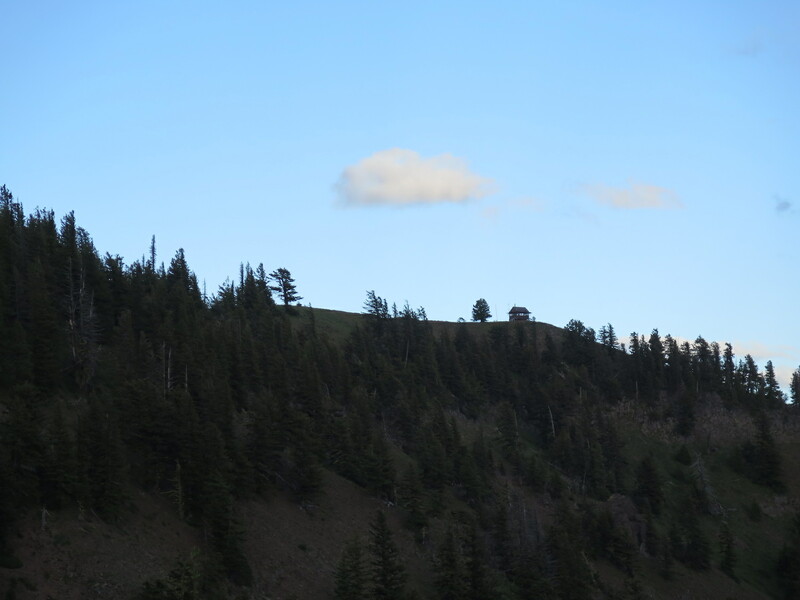 Though the lookout is closed to climbing, the cabin at the base is available for year-round rentals. The 94′ tower has a lot of stairs! But unless you gain special permission, it’s closed for climbing. Clearwater Lookout and big eastern Washington skies. 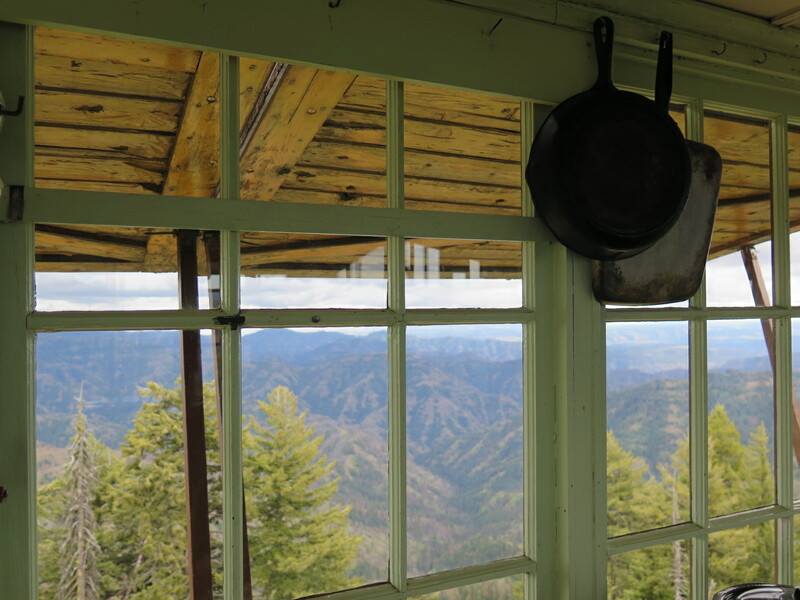 The watchmans cabin at the base of the lookout is available for year-round rentals. I had almost considered staying but I decided instead to do some camping in the area. I’d love to go back in the winter for a cross country skiing vacation! Big Butte is on the eastern boundary of the Wenaha-Tucannon wilderness near the town of Anatone, about 22 miles southeast of Clearwater. Getting there is straight forward and follows the most obviously traveled forest road. Again, road conditions were great the whole drive. 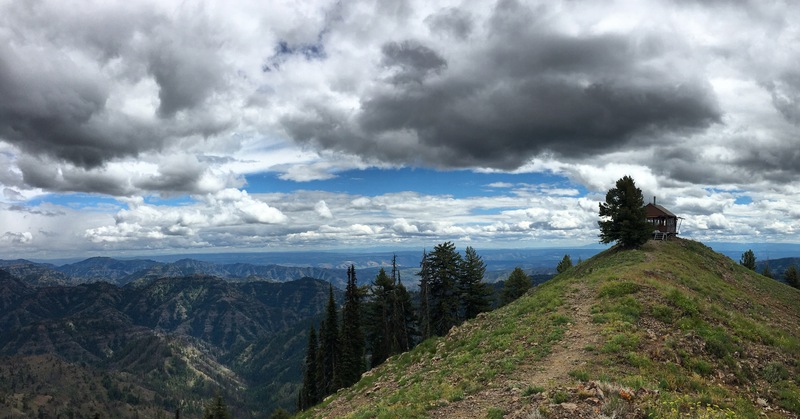 The route stays high, traversing ridge tops and offering incredible views of the surrounding landscape as well as the Wallowa-Whitmans in Oregon. Along the way is the Wickiup Campground, a great place to camp with springs all around. 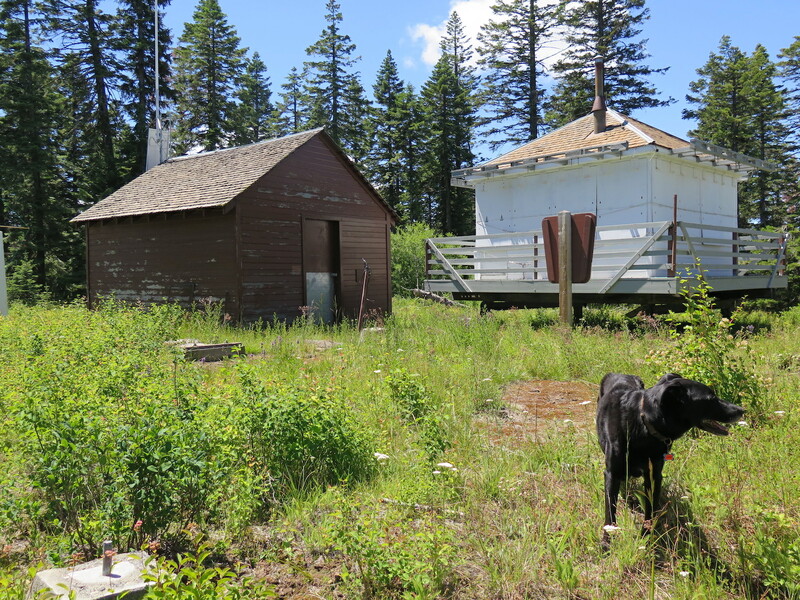 About 14 miles from Clearwater is the Wenatchee Guard Station, built by the CCC in 1934-1935 and also available as a year-round rental. In winter, it can be reached by skis, snowshoes, or snowmobile. The cabin was occupied when I drove past and a single car parked there was the only one I passed the entire way to Big Butte. The Wenatchee Guard Station, built in 1934. It’s available year-round as a rental and has some tremendous views! 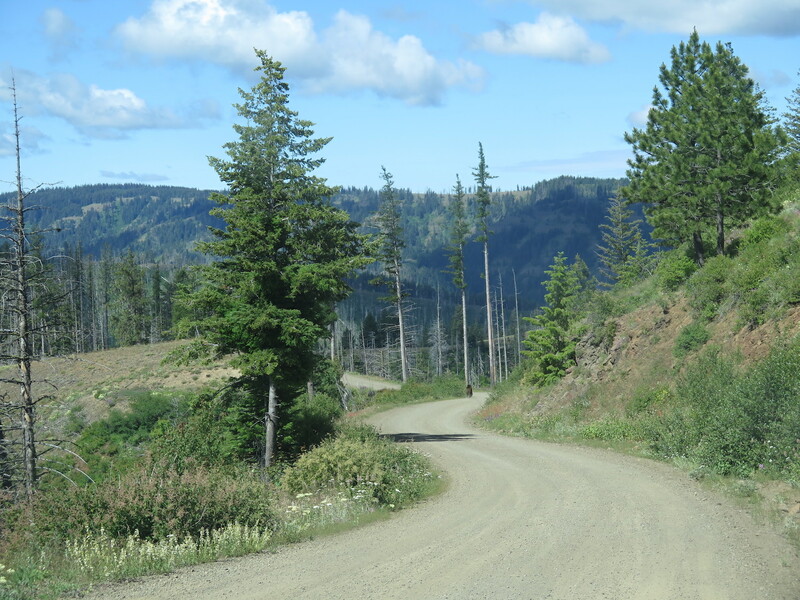 The only tricky part about finding Big Butte is locating the right turnoff, which is NF-170, a pidly little forest road with a tiny sign that branches sharply to your left, so it’s easy to miss. If you hit a cattle grate at the eastern edge of the wilderness with a small turnaround right before a descent, you’ve gone too far. Back up. The forest road to the lookout is the first turn behind you. Walking the short half mile to Big Butte to enjoy the views! And the flowers! I parked my Jeep at the bottom and walked the half mile to the gate, then up to the lookout. A winter snowstorm in 2013 severely damaged the tower and the cab was lowered to the ground to save it from falling. Though volunteers helped to reconstruct, repair, and repaint the cab, it still remains on the ground today. I’ve heard the future of Big Butte is uncertain, so perhaps something can be done to save it. The views from the area are tremendous. I can only image how good they must have been from the top of the 82’ lookout tower! 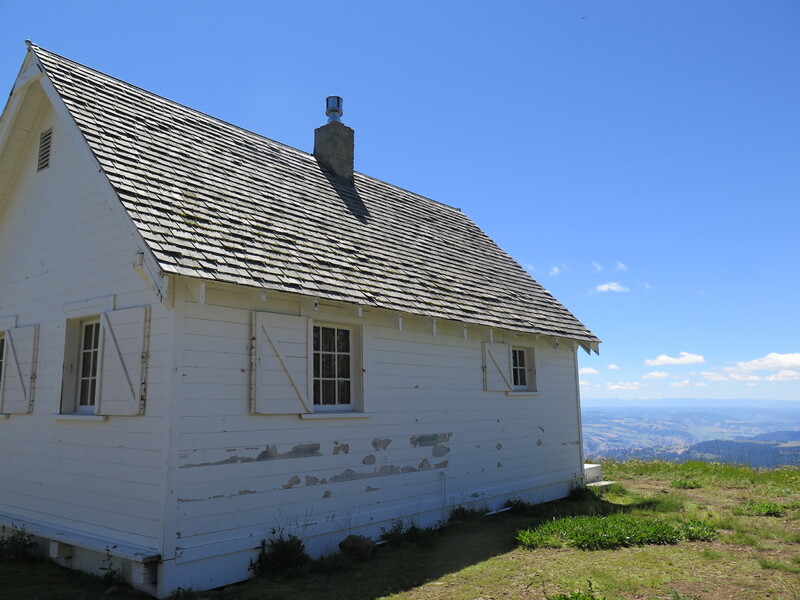 Big Butte Lookout, currently sitting on the ground after severe damage from a 2013 storm. 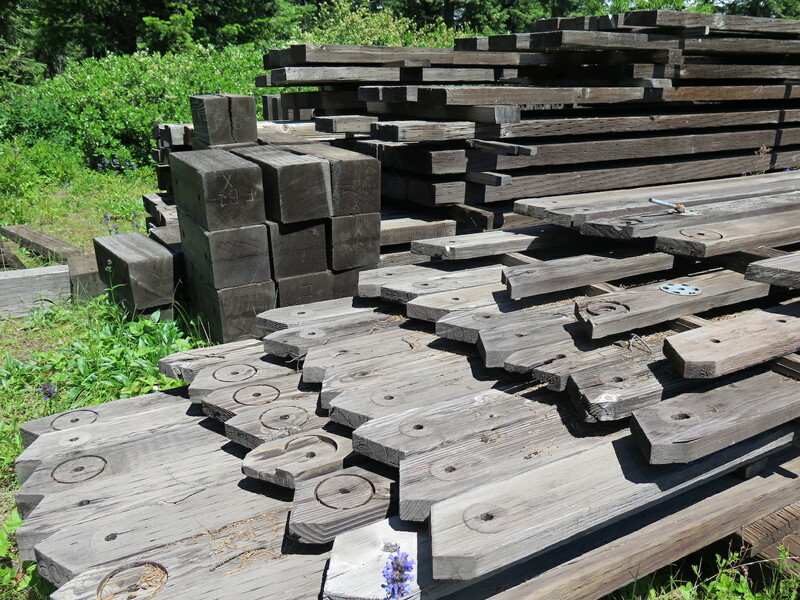 The lookout tower, ready for re-assembly someday. Jake dog at Big Butte lookout. Lookout #32 for him and 48 for me! From Table Rock, I had two options: driving out to Anatone and then taking the main highway back to Dayton or simply backtracking the way I came. Since the forest service roads were in such good condition, I decided to backtrack. It was a gorgeous drive and I even had a little impromptu lunch picnic on the hood of my Jeep. Enjoying the cross country drive between Clearwater and Big Butte. I took a lunch break along the road to enjoy the views! Once back at the Last Resort I was happy that indeed, the fuel truck had stopped by. Despite the high price, I topped off anyway. I’ve learned my lesson more than a few times that in remote areas of eastern Washington, you take advantage of getting fuel while you can! Though I was sure Dayton had gas stations, and they do, I still figured a full tank of gas was a good thing. From the Last Resort, I headed west on the Patit Road. Other than being steep in places with a few washboards, it was also in reasonably good shape. The road takes you into Dayton, a small old town with services, food, fuel and a historic train depot. It’s well worth a stop! From Dayton, the first 20 miles of the road to near the Bluewood Ski Resort is paved. After that, the pavement ends, turning into the Kendall Skyline Road. 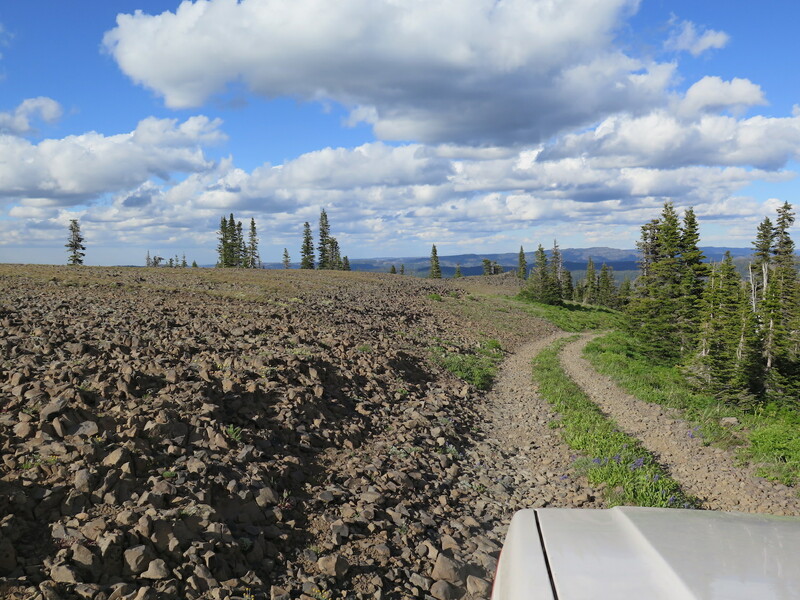 The road is a bit rough, but passable until a few miles from the lookout where it becomes rough, rocky, and rutted. You’ll definitely want a high-clearance 4×4 unless you’re willing to walk a ways. The road is also littered with sharp, jagged basalt that can wreak havoc if you don’t have good tires. My B/F All-Terrains have always been bombproof, but I was still pretty happy that I carry a patch kit and air compressor as well as a full size spare, just in case! Just below the lookout, the road traverses a pretty narrow, exposed slope which was a bit unnerving. Luckily the snow was melted because no way would I have crossed it otherwise! The road doesn’t look that bad in the photo, but it’s pretty rocky at the top and full of sharp basalt. Go slow and have good tires! The Kendall Skyline Road to Table Rock lookout. It’s pretty narrow and exposed in the area pictured, but totally safe to drive. Past that area it gets very rocky and rough, definitely high clearance 4×4 territory. The road is narrow but there are a few places to pull off and park. Table Rock’s sweeping mesa and big views! I was able to easily crawl my Jeep over the rocks all the way to the top of Table Rock’s expansive mesa, which is a pretty incredible spot. The day I visited, winds were gusting 40+, making it freezing cold and threatening to blow me right over! The lookout windows were secured with durable steel covers but the wind still threatened to rattle them to pieces. I can’t imagine someone staffing this one. It was so exposed that’s its really something the wind hasn’t completely ripped it from the ground. 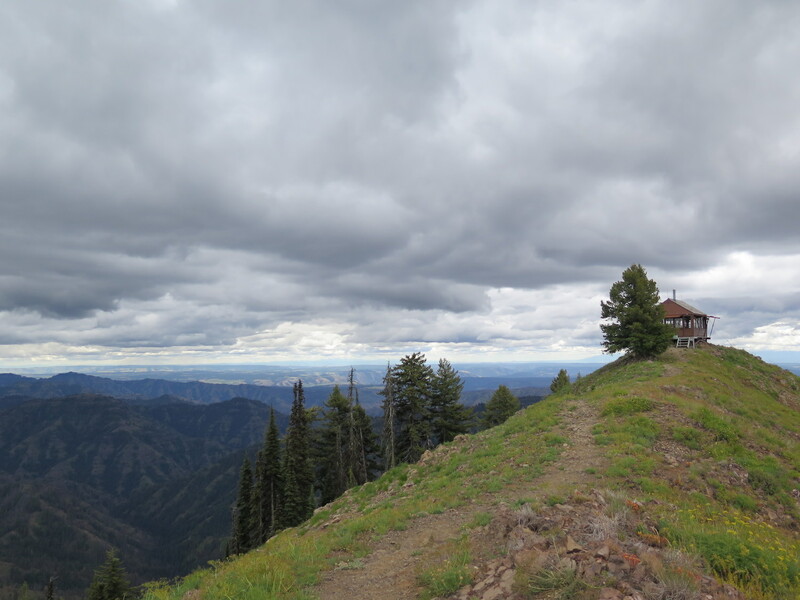 It sure does have some fantastic views though, especially of the Wallowa-Whitmans since the lookout is only 4 miles north of the Oregon border. 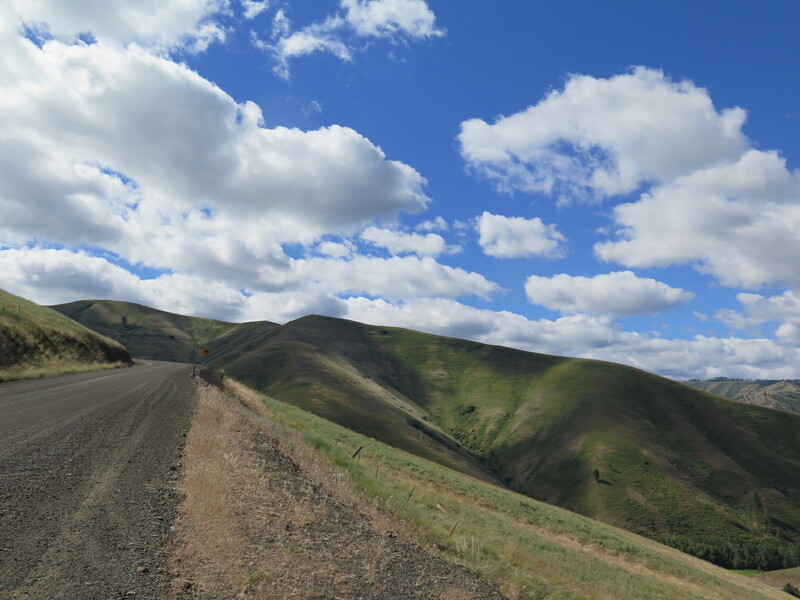 If you’re so inclined, the Kendall Skyline road continues south to Oregon, so you can do some pretty fun off-road adventuring! Panorama from Table Rock. What a vantage point, just be ready for strong winds! I slowly rambled my Jeep back down from Table Rock, realizing I was running out of time to visit Oregon Butte, the only lookout requiring a hike. 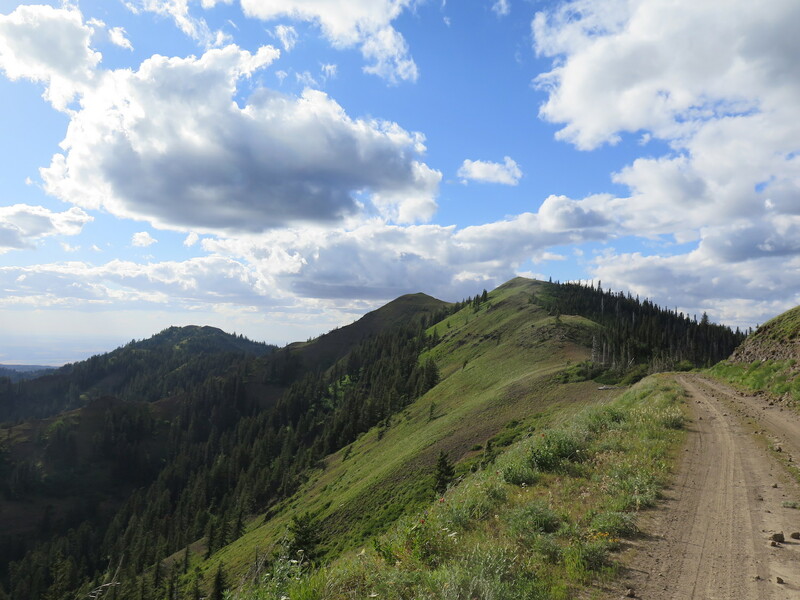 There are two main routes to reach Oregon Butte: a 16 mile loop hike from the Panjab Trailhead or a 6 mile round trip hike from the Teepee Trailhead. With my arthritic almost 13-yr old dog in tow I was going for the shortest approach from Teepee. The only issue? I had mistakenly written it down as 3 miles round trip. It was actually 3 miles one way. Oops. I hadn’t yet realized my mistake, so I figured if I got to the trailhead by 7 I’d have plenty of time to reach the lookout for sunset. If I had known my error, I would have gone back to my campground and saved Oregon Butte for Tuesday morning. But I proceeded, thinking we had only a quick 1.5 miles to cover to get to the lookout. North of Table Rock I turned right at a junction, following the Kendall Skyline road south around the Bluewood Ski resort. In 10 miles the road reaches the Godman Guard Station, another year-round rental built in the 1930s. Across from it was another campground that would have made a fantastic place to stay! I admit that I was a little disappointed I hadn’t packed up my camp to save myself a long drive back. Oh well. 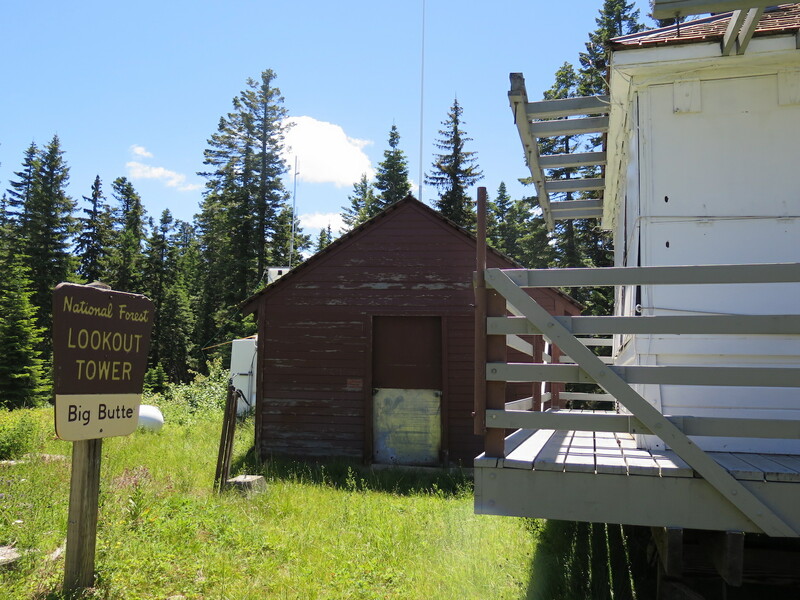 From the Guard Station, the Teepee Trailhead is a few miles up NF-4608 to the right. I arrived at 7:15 to zero cars in the parking lot. We’d have to move somewhat fast, but hey, we only had 1.5 miles to cover! Or so I wrongly thought. The trail climbs steadily from the trailhead, leading through beautiful forest. One mile in it branches, though both ways lead to the lookout. The left route climbs less and stays lower, but the right branch takes you over West Butte with big views, so I went that way. Heading up to Oregon Butte, enjoying the views from the right branch of the trail that takes you over the top of West Butte. My trail notes said the trail would drop down a saddle before making the final climb to the lookout. I was nearing 1.5 miles with no lookout or climb in sight. It was the first time I thought something might be suspect with my mileage. I pushed a little further, finally reaching the bottom of the saddle 2 miles in and getting a glimpse of the lookout in the distance. It was almost 8pm and my mileage error was now pretty darn obvious. Damn!!! I should have been on the summit already. Instead I still had a full mile to go, mostly uphill with a slower, aging dog. Realizing the error in my mileage. Crap. This wasn’t a 3 mile round trip hike, it was a 3 mile ONE WAY hike. Oops. The lookout was still a mile away and we were pretty much out of daylight. Though I had a headlamp and my off-road Jeep lights make driving at night easier, what fun is it to hike up to a lookout and not have enough daylight to enjoy it? When I’m solo my margin for risk is pretty low. Coming down in the dark and driving a new section of forest road in the dark, late, back to my campground seemed not the best choice. I was also a bit stupidly not carrying my usual essentials since I figured it was a short hike! I wasn’t equipped to spend the night if something happened. After a few expletives I turned around and headed back to the car, knowing I’d have to come all the way back in the morning, but It was really the only smart choice. I did get a reward though in the form of one of the most incredible sunsets I’ve seen in a while! With the road still in good shape and big, bright off-road lights, the drive was mostly uneventful until I hit a steep, twisty, rough descent back down to the Panjab Campground. I got back shortly after 10pm, so I made a wise decision. The lookout would be there tomorrow. What a beautiful sunset! Well worth the failed attempt. The next morning I packed my camp and hit the road back to Oregon Butte. That little steep grade of a climb over to the Kendall Skyline Road from the Panjab is a slow one, though much better during the daylight! I’d imagine you can get up it just fine in a passenger car so long as you don’t mind going slow and getting rattled around a bit. 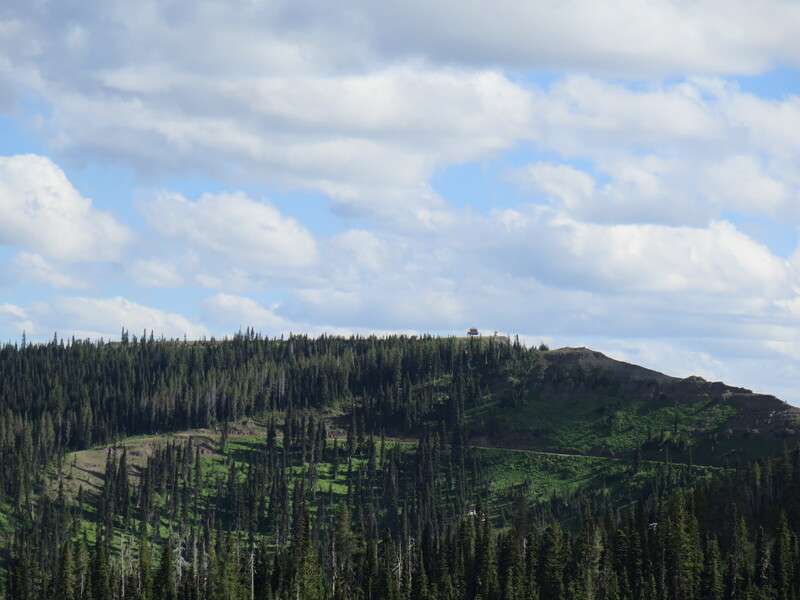 As I neared the junction with the Godman Guard Station, I slowed to take a photo of the scenery and the biggest black bear I’ve ever seen went dashing across the road and quickly up the hillside next to me. Unbelievably I had just grabbed my camera, so I managed to get a few shots of him! There he is! Easily the biggest black bear I’ve ever seen trucking down the road and out of sight. With my grizzly sighting at Glacier and black bear sighting at Desolation, this made 3 bear sightings in 4 weeks for me, wow! I almost couldn’t believe it. Now I was pretty glad I had to return again for a 2nd try on Oregon Butte. I never would have seen this awesome bear otherwise! The Teepee trailhead is considered one of the higher used trails in the area, so I expected to see a few cars in the lot. Surprisingly, I pulled in and there was only a single truck and a US Forest Service horse trailer. This time with no time pressure, Jake and I took a nice leisurely hike all the way to the top. 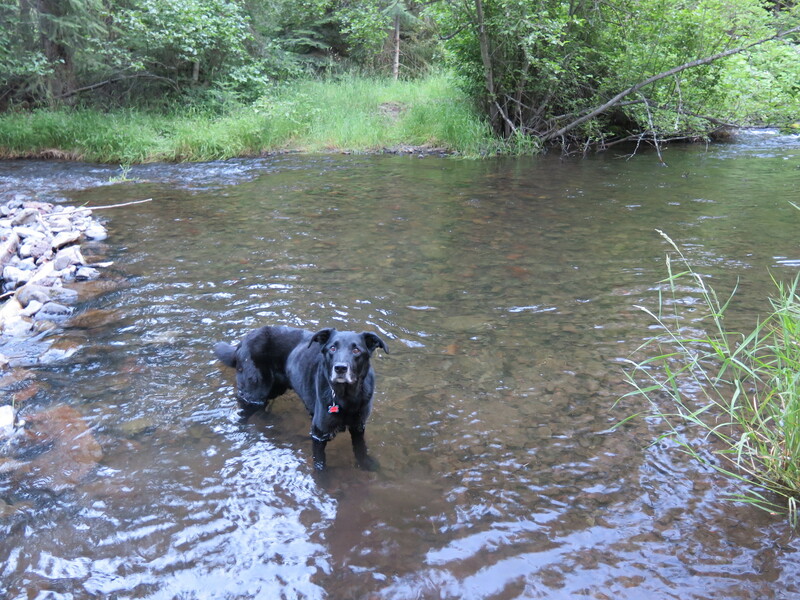 It was a smart decision to come back and enjoy the area in the daylight and let my poor old adventure dog go slow! The final approach to Oregon Butte. 2nd time is a charm! The cloudy, cool weather made for a comfortable hike yet I still had plenty of views! As we slowly closed in on the lookout, it was obvious someone was inside. There were bags and gear all over the porch and a lady opened the front door, smiling and waving at me. The lady was Julie, the summer lookout volunteer. She had just arrived to open the lookout and wouldn’t you know? I was guest #1 for the season! How about that for timing? The truck and USFS horse trailer in the lot belonged to the forest service workers and horses that were helping transport her gear up for the season. I’d run into them on the way down. Blue skies starting to break over Oregon Butte. The volunteer lookout Julie was super friendly and took time to chat with me for over an hour while she unpacked her gear and moved in. I stayed on the summit for over an hour, chatting with Julie, who was friendly and outgoing. It was her 13th season staffing the lookout and she was a wealth of information. She pointed out the surrounding mountain ranges, the Wallowa-Whitmans, the Seven Devils Range in Idaho, and beyond. Though there were thick high clouds, you could easily see 100 miles in every direction and blue skies were slowly prevailing. Julie told me all sorts of information about the area, its history, fires, and tons of stories. She was also from Carlton in the Methow, a small world since I spent a few winters living in the Valley back in my freelance days! Views from inside Oregon Butte lookout. She raved about Oregon Butte and the surrounding wilderness, saying she’s never been to a more gentle place. I could easily see and share her love of this land. 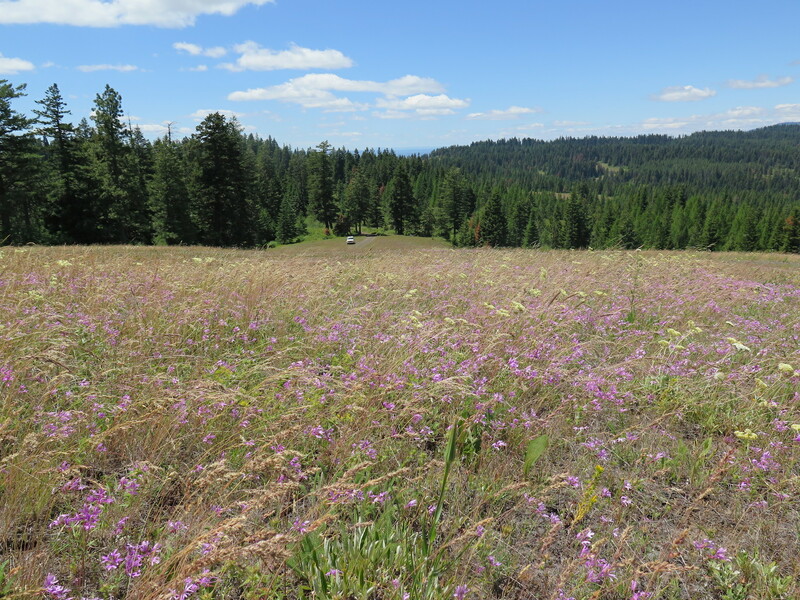 From Oregon Butte there are no clearcuts, no bugs, and no harsh landscapes. It’s beautiful wilderness. Nature is peaceful here in the Blue Mountains. What stunning views from Oregon Butte! And it’s pure wilderness all around. Sometimes, timing just works out, even if you think it doesn’t. I had been so mad the night before, not being able to reach the summit. But if I had, I would have missed this great opportunity to have spent some time with Julie, talking about the area and its history and enjoying the fantastic views. Julie said she entertains 300-500 guests per season, so I was really lucky to have such a quiet visit, especially around a holiday. On our way out, Jake and I waved goodbye and thanked Julie for her hospitality. We had a quiet hike down, passing one family of 5 on their way up to the lookout, excited to hear it was open. Beautiful and peaceful Oregon Butte. Lookout #50! On the drive down I stopped at Moolock Spring, a short distance from the trailhead, and filled up all the water jugs I had in my Jeep. Julie recommended this particular spring, saying it had some of the best tasting water in the entire Blue Mountains. I can’t disagree! 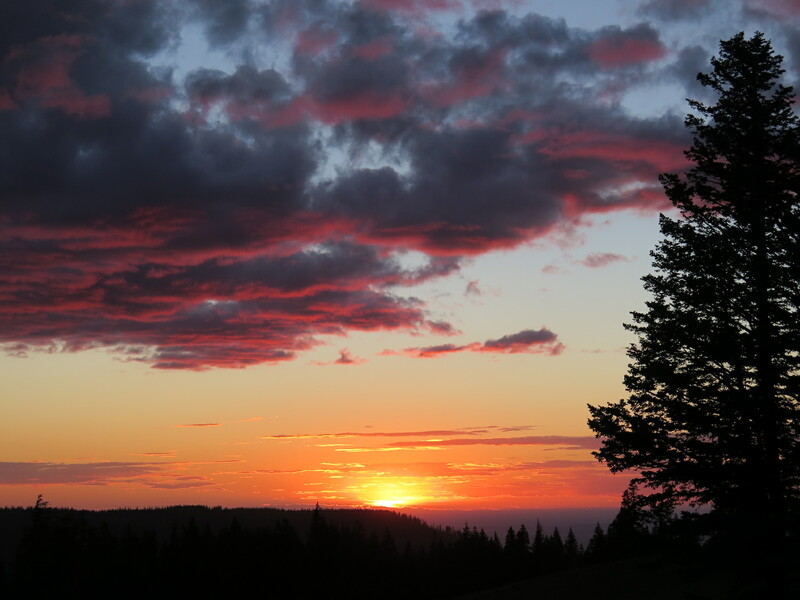 It was the perfect end to a successful weekend visiting another four lookouts and discovering a surprise gem of a wilderness in southeastern Washington. Without a doubt, I’ll be back to the Blue Mountains again. And once I finally sit down and update my individual lookout pages, I’ll add the links to this page! I love spending time in eastern Washington. It’s so beautiful! The Blue Mountains are about a 5 hour drive from Seattle but the drive seems faster and takes you past plenty of great attractions like the 260’ tall Joso High Bridge new Lyons Ferry and Palouse Falls, Washington States Official Waterfall. It’s a good excuse to take your time and make some sightseeing stops! The Joso High Bridge near Lyons Ferry is pretty spectacular, especially if you catch a train going over it! Fuel up in Washtucna before Palouse Falls. 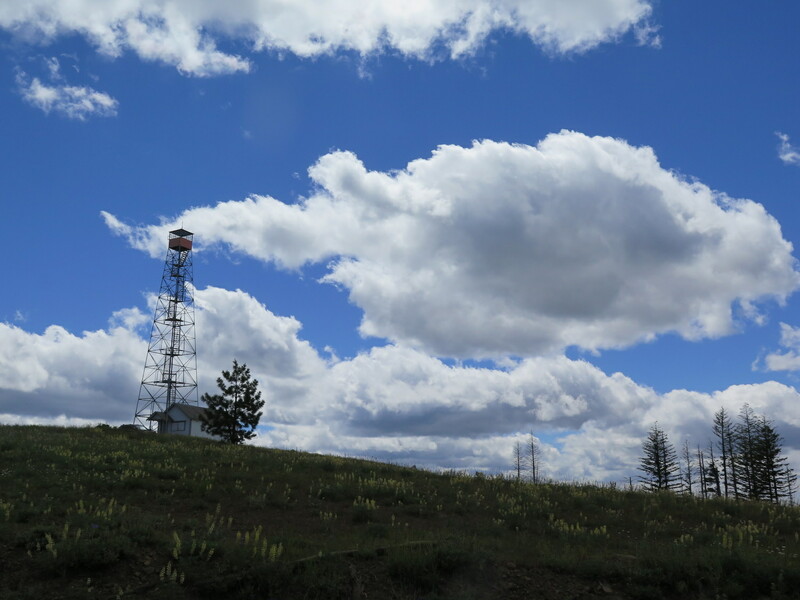 Other than the town of Dayton to the west, Clarkston, ID to the east, and the high-priced Last Resort park north of the wilderness, there isn’t much in the way of fuel or services in the Blue Mountains area. Definitely have everything you need and maybe even consider bringing an extra fuel canister if you’re planning much driving. There is no shortage of camping options in the area. Both DNR and National Forest camps are scattered around the wilderness and run the length of the main Tucannon Road. Dispersed camping is also allowed per usual rules. 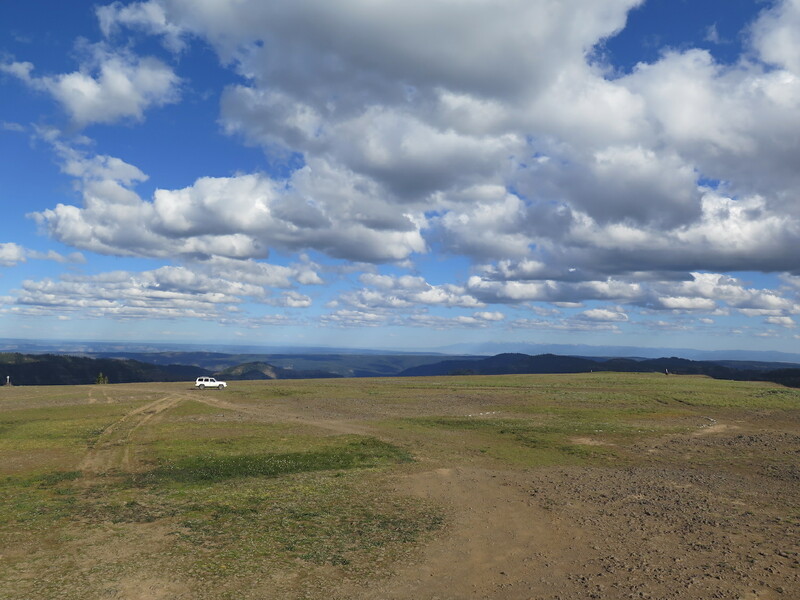 There is a campground near Godman Guard Station, convenient to Oregon Butte and a gorgeous backcountry site at the top near the lookout. Near Big Butte and Clearwater there are also nice campgrounds and plenty of natural springs, so don’t forget some water jugs!